give you a competitive edge in the job market. In the past, we have been organizing workshops on, e.g., Excel, Powerpoint, HRIS (Human Resources Information Systems), Entrepreneurship, Filing your Tax Return, or Public Speaking (in collaboration with Toastmasters International). Participants receive a certificate of participation for many of our workshops. Watch out for emails from newcol@yorku.ca to register quickly, as many of our workshops fill up very fast! For our current workshops, see our calendar. Probably the most popular ones, our Excel workshops typically take place in both the Fall and the Winter term and offer training from the beginner through to the advanced level. Each workshop lasts for 5 hours, and you will receive a certificate of participation upon completion which you can add to your applications. Our Info Sessions include topics like Going Abroad on an International Student Exchange or Internships in Canada. They are designed specifically for BCom, HRM, ITEC, and DEM students and are usually organized in collaboration with a partner from York University. 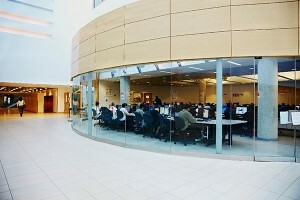 New College also supports the involvement of BCom, HRM, ITEC, and DEM students in case competitions, like the annual national competition of "Canada's Next Top Ad Executive".